2019 Boxer Calendar – Purchase Here! Once again this year’s calendar is chock full of images. This is our biggest and best calendar to date! A full color 12 x 12 inch masterpiece of Boxer pictures, holiday’s and reminders. You can get your Florida Boxer Rescue Calendar by clicking on the button below. They are just $20 each, 3 for $55 or 6 for $99. We anticipate calendars will ship to you the first week in December. 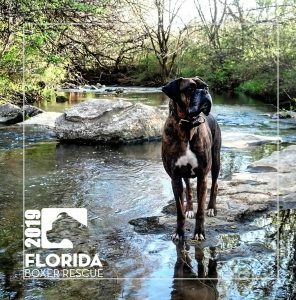 By purchasing our 2019 Florida Boxer Rescue Calendars, you’ll be helping a great organization care for very needy Boxers. Please help us to save more Boxers!